Health Canada’s WHMIS 2015 deadlines come into force in 2018. Are you ready? 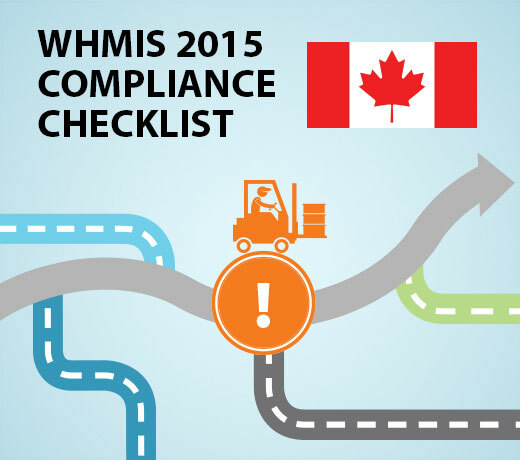 Whether you're a Canadian hazardous product manufacturer, importer, distributor, or an employer who stores or uses hazardous products in the workplace, our WHMIS 2015 Compliance Checklist makes it easy to identify your key compliance requirements and deadlines under the revised WHMIS standard. Download this checklist to get up to speed with Canada's new hazard communication requirements.